Damn, the bloodskal blade is amazing, it's lacking a sheath though! 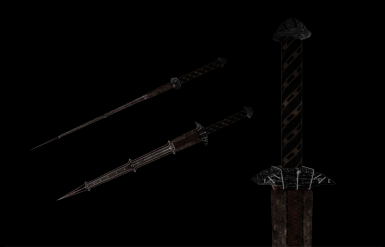 Brand new mesh and texture for the Bloodskal Blade (it took me 2 days to make, but it's much nicer than the old one). I'm experiencing this as well. 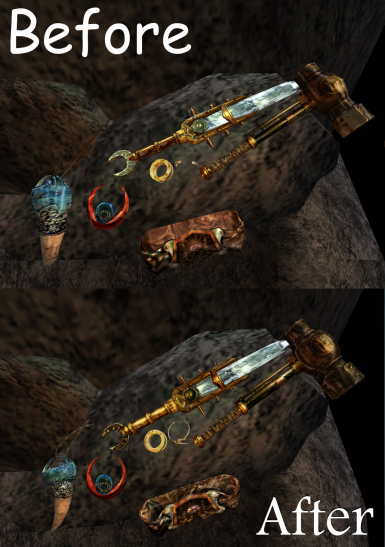 The weapon sizes do appear to be reduced. Is there any more information on this yet? This mod is now part of the STEP project so I'm wondering if you followed the install instructions from there and it's a mod further down the list which is causing the issue. 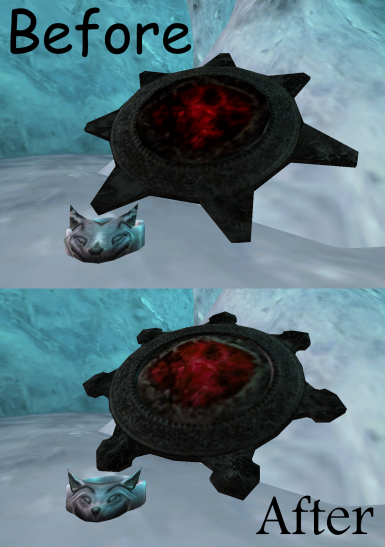 Any idea why the Bloodskal retex wouldn't be working for me? I'm using the plugin with no extra changes, and in-game Bloodskal looks the same as it always has. I have the mod included in my Merged_Objects plugin, and even tried excluding it as well, before reactivating it and testing it in-game (I have an armor retex which doesn't work properly if it's included in Merged_Objects, for some reason. I thought this might be the same case). I also tried moving your mod the bottom of my load order. Have I overlooked something? EDIT: (I wish it were possible to just delete posts) After a long, drawn out process I finally got it to work. The only other plugin I have that edits Bloodskal in any way is one I made myself to edit the stats of various weapons, but I made sure to accommodate your plugin accordingly so that mine wasn't overwriting yours. Either I didn't do that correctly, or the Merged_Objects creation was acting strangely with them. Either way, after finally seeing it in-game, I have to say, lovely work! It looks just as good, if not better than Skyrim's version, and actually feels unique now.